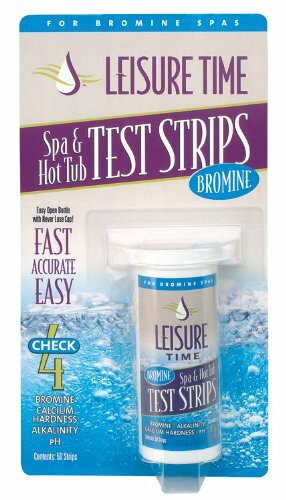 For fast, easy, and accurate spa water testing, simply dip a strip of this Leisure Time 50 Piece Bromine Test Strips into your spa or hot tub water and compare to the color chart on the back of the bottle. 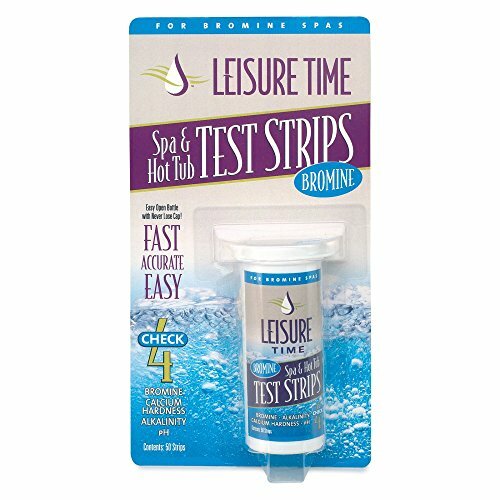 These easy-read spa test strips and hot tub test strips are compatible with bromine and ozone sanitizers. The strips tests water for pH, total alkalinity, calcium hardness, and bromine levels. Quantity: 1 lb.. Includes 50 test strips. Tests for pH, alkalinity, calcium hardness, and bromine levels. Compatible with bromine and ozone sanitizers. Includes 30-day manufacturer's warranty.